Suddenly, the left is not so interested in screaming “women must be believed” at the top of their lungs. Mitchell is know nothing hack, a shill for the GOP, a liar, and a monster doing her master’s bidding. Today, anyone who had a problem with her style is probably going to be pretty quiet. Last night, she released a lengthy memo detailing her thoughts on the matter as a prosecutor. …And this morning the left is freaking out. Suddenly, the left is not so interested in screaming “women must be believed” at the top of their lungs. 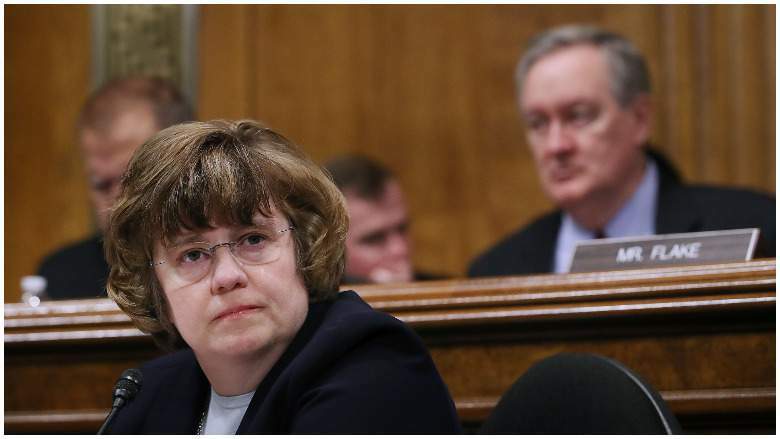 Mitchell is know nothing hack, a shill for the GOP, a liar, and a monster doing her master’s bidding. Democrats are desperately ignoring the facts contained in the memo and are instead attacking its author – because they know this looks really, really, bad for them. Read Mitchell’s complete report at SCRIBD. This entry was posted in Government, News, Politics, The Culture, Uncategorized. Bookmark the permalink. Well……….there you have it. LOL The reason the Dems didn’t want a professional to do the questioning. That’s when the charade all began! The charade began with the Bork nomination. Then Clarance Thomas nomination, who GHBush wanted too drop. The Demrats pulled the Anita Hill out of the woodwork. Here’s one article I found today which brings up the important fact that Ford remembers the boys laughing. That was my contention the other day…that the laughter is possibly the key. In the court of public opinion and the U.S. Senate, Judge Brett Kavanaugh’s problem is that Christine Blasey Ford has a narrative and he does not. He has only the forceful and angry denials of an innocent man. But a counter-narrative does exist, based upon Ford’s own words and actions, which goes to explain why and how she made these false accusations…. Thread by @drawandstrike: “When they get in your faces & shriek “YOU MUST BELIEVE ALL WOMEN!” get right back in their faces and yell back: “WHY SHOULD I DO THAT? !